The Ghosts of Morris Ranch. 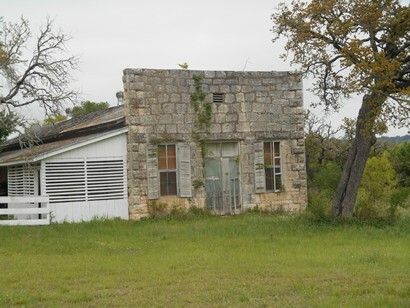 What's left of Morris Ranch hides in plain sight near the intersection of Morris Ranch Road and Alfred Petsch Road between Fredericksburg and Kerrville. Scattered to the west from that intersection is the ghostly skeleton of one of the most elaborate thoroughbred breeding and training facilities ever built. The ranch began as a 23,040 acre land grant certificate issued to William Bryan in 1836 by Sam Houston, president of the Republic of Texas. Bryan, a diplomat for the Texas government, sold or traded the certificate and it changed hands several times before the Leavitt Brothers of New York acquired it. 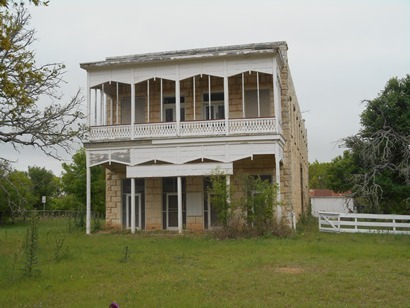 The Leavitts, partners in a mercantile firm, hired Texas Ranger Jack Hays as a surveyor to carve their property from public land along the Pedernales River, 12 miles south of Fredericksburg. The General Land Office then issued a patent that transferred the property from public to private ownership. Not long after that the Leavitts filed for bankruptcy, and on February 18, 1856 another New York businessman, Francis Morris, bought the property for 25 cents an acre. Morris sold 6,400 acres to Peter Hayden, but the remaining 16,640 acres in Gillespie and Kerr Counties remained intact until 1921. Francis Morris had businesses to run in New York so he granted his nephew, Charles Morris, the power of attorney to manage "the Leavitt lands on the Pedernales River." And so began an interesting administrative arrangement. One branch of the family owned the ranch, and another branch managed it. When Francis Morris died in 1886, his son John turned Morris Ranch from a traditional ranching operation into a facility for breeding and training thoroughbreds. John spent half a million dollars to transform the ranch into a state-of-the-art facility. By 1895 Morris Ranch had a one-mile racetrack, training headquarters, general store, drug store, post office, roller mill, cotton gin, blacksmith shop, and homes for the men and women who managed the ranch. There was a jockey house with room for 20 apprentice jockeys and enormous horse barns equipped with hot and cold running water. East of headquarters was a hotel for single ranch hands and for east coast owners and trainers who came to buy race horses. 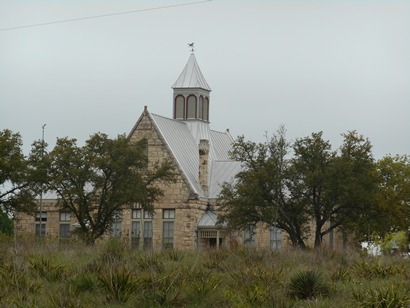 Alfred Giles, a prominent English architect, designed the beautiful stone schoolhouse. Morris Ranch was an energetic community with a vibrant social life. Dances were held upstairs at the general store. The school hosted musicals. Mrs. Albert Morris organized a drama club and a Shakespeare club. There was a parade every July 4. The English miller served as Uncle Sam on the Liberty Float. Max Hirsch, the dean of American thoroughbred trainers, got his start at Morris Ranch as a 12 year old exercise boy in 1892. "Assault," trained by Max Hirsch and owned by the King Ranch stables, won the Triple Crown in 1946. But early in the twentieth century a wave of anti-racing laws on the East Coast curtailed the race horse business. 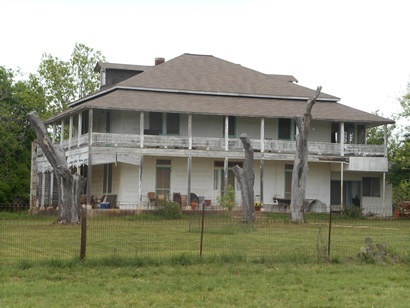 After 1902 the Morris family sold its horses and leased the property to tenants for farming and ranching. Then in 1920 members of the Morris family decided they could get a better return on their money in New York, and by 1931 the property had been broken up and sold. The roller mill went out business after World War I. The cotton gin closed after the boll weevil damaged the cotton crop. The post office closed on February 28, 1954; the store soon after that. The school shut its doors in 1962. Today only the buildings and the memories are left. Fredericksburg Standard, April 28, 1971, "Morris Ranch Unique Place in History," p8. The Handbook of Texas, "Morris Ranch."